Crooked Conversations - How Can the Rule of Law Survive? : A conversation between Crooked.com Editor in Chief Brian Beutler and former U.S. Solicitor General Don Verrilli about the courts and the administration of justice in the eras of Barack Obama and Donald Trump. With Friends Like These - Scale of Awfulness: Ana Marie Cox talks with Atlantic writer Adam Sewer about white nationalism and supremacy and talks with Lizzie O'Leary of the Marketplace about sexual harassment. She also goes on the road to talk about that mysterious and often misunderstood Hillary voter. Majority54 - Islamophobia: Jason Kander reconnects with his tranlator while he was in Afghanistan to discuss the work they did and the misconceptions surrounding Islam. Pod Save the World - On the Ground in Burma: Tommy talks with Senator Jeff Merkley about his fact-finding mission to Burma and Bangladesh to learn more about the ongoing ethnic cleansing and refugee crisis. They also discussed the Trump administration’s almost non-existent response, how social media has exacerbated the problem, and what Congress is trying to do to help. 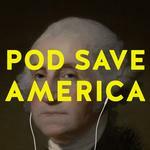 Pod Save the People - Find Your Tribe: Clint, Sam and Brittany join DeRay for the weekly news, including the effect of climate change on child brides, the recent news on human trafficking, Trump stacking the courts, and more. DeWanda Wise joins DeRay to talk about her new role as Nola in Netflix’s She’s Gotta Have It. Shannon Minter and Jennifer Levi join to talk about their work on key federal cases to block Trump’s military transgender ban, and what you can do to help. Lovett or Leave It - Lock Him Up: Flynn cops a plea. The tax bill verges on passage. A government shutdown looms. And Trump still manages to find new lows on Twitter. In a special crossover episode, Jon Favreau, Dan Pfeiffer, Ira Madison, and Lovett walk through Mueller’s deal with Flynn. Then Megan Gailey, Jamil Smith, and Maz Jobrani join to break down a wild week. Plus there’s a dramatic reading with Liz Meriwether and we discuss the royal engagement you people care about for some reason. There’s too much news. I loved the Jared/Ivanka prison scene. Lovett's Jared voice is exactly how I imagine Jared sounds too. I'm still listening to Majority 54, and 80% of the podcast isn't about countering right-wing talking points. It's mostly just an interview with an interesting person, and then Kander spends the last 10 minutes with the counter talking point guidance.